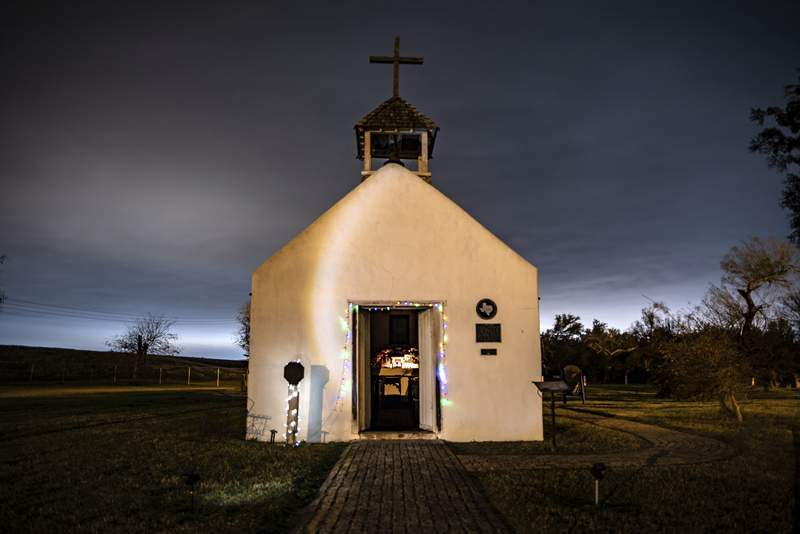 Washington Post photos Christmas lights line the doorway of the La Lomita Chapel in Mission, Texas. The chapel, a historic landmark, sits on land the U.S. government is examining as a potential path for a border wall. Nadya Alvarez stands on her property in Rio Grande City, Texas, on Wednesday. 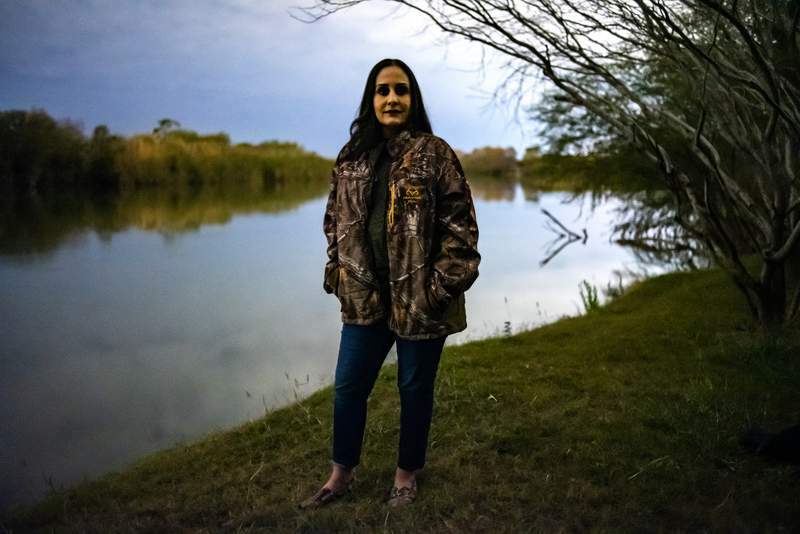 She, along with dozens of other landowners in the Rio Grande Valley, received surprise letters from the federal government in recent months, requests from officials who are seeking access to their properties for surveys, soil tests, equipment storage and other actions. It is, lawyers and experts say, the first step in the government trying to seize private property using the power of eminent domain – a contentious step that could put a lengthy legal wrinkle into President Donald Trump's plans to build hundreds of miles of wall, some of which passes through land like Alvarez's. Alvarez refused to sign over access to her property, which was handed down from her grandfather. She yelled at her father for allowing the government onto his land. And she had a message for Trump, who visited nearby McAllen on Thursday afternoon: No border wall, a phrase she wanted to write on her roof so Trump could see it if he flew over her home. She decided against doing so because of rain. “I'm against the wall because I'm going to get evicted by it,” said Alvarez, a 47-year-old high school teacher. Efrén C. Olivares, racial and economic justice program director at the Texas Civil Rights Project, said about 100 landowners have received new government letters seeking access to private property for the purposes of determining how – and where – the wall could be built. The letters are the first of a two-step process the government uses in cases of eminent domain, lawyers involved in the cases and experts said. It first requests to survey the land, a step to which landowners often agree. If the land is suitable for the government's intended use, it moves to take the land either by persuading the owners to sell or turning to the courts to force the sale. Olivares said there were 334 eminent domain lawsuits filed in South Texas during the Bush administration; about 60 to 70 cases are still pending from a decade ago, mostly regarding payouts.